We were in Lanesville, Indiana for the shower, my wife and I saw only a handful, but I managed to get this photo. Our observing began at 11pm (MST) and ended at 2:30 am MST. We are on a Ranch, far away from town with excellent view of the North/North Eastern sky. This was by far an exciting night. Shortly after we began viewing, we saw many "bright flashes" and small streaking meteors, which lasted for the first hour. At Midnight, everything slowed down and we didn't see any for the next 45 minutes. At 12:45am things picked up, just as we were about to give up and come inside. Several streaking across in opposite directions and two very bright, very long, multi-colored CAMS. Things died down again around 1:45 am and we gave it another 45 minutes and called it a night. There were several odd "satellite's (? )", drifting "fog"? and we did see the ISS. All in all it was by far, a wonderful experience and our family had a wonderful time. No moon for us, so we had a clear, very dark sky to observe. - KC"
There is now definite CAM activity in the radar. integer solar longitude bin before the maps are updated. not in the internal list used by CMOR to perform stream associations. Right now, CMOR is showing increased activity at the spot... no classification, but a nice intense red dot of activity. Best regards, Alex Daskalakis"
to reflect current position of the objects in the sky. according to my experience from yesterday. Note also the activity from the first observations submitted to IMO is available at: http://www.imo.net/live/cameleopardalids2014/ Clear skies!, Javor"
Well, I didn't set up my spectrographs as it was mostly cloudy over Courtenay, B.C. Went to sleep but woke up at about 1.30 a.m. and saw some stars, but only for a short time before the clouds were back, no meteors. Checked my WSentinel all-sky and it recorded nothing when there were short breaks in the cloud cover. The Asgard all-sky has not down loaded its results yet but I doubt it recorded anything either. Ed Majden"
"I saw three 'CAMs' this morning during a 3.15 hour watch this morning and a fourth as I was arranging my equipment before the watch. The meteors were faint: +3 (3) and +4, and very slow as predicted. They visibly disintegrated as they occurred, leaving a 'grainy' trail. There were no long enduring trains seen among the four. Location: Bel Alton, Maryland, USA: approx. 77 W longitude and 38.5 N latitude. Elevation about 10 meters The sky was cloudless and very transparent but not very dark. The Milky Way was prominent and spanned the sky from about Cassiopeia to the southern horizon. The northern horizon was light polluted from Washington, D.C. and suburbs' lights. Even though the observed CAMs were few, the greatest number were seen close to the 7-8 hr.UT "maximum" predicted. The three were seen in the interval between 6:43 and 8:20 UT. 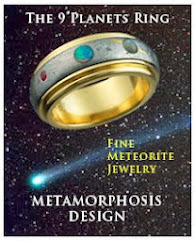 A report will be sent to the American Meteor Society and the International Meteor Organization- Richard Taibi "
Hi there! a small update although perhaps not surprising. I observed also during morning (24th May) about 01:15-02:15 ut and saw 2 possible CAMS. "See, http://fireballs.ndc.nasa.gov/ At the predicted naximum time practically nothing was seen around there ! Esko L."
"In Michigan's Upper Peninsula: A BEAUTFUL, clear nite for star gazing. Spent 1.75 hrs between 2 am EST and 4 am EST. Saw 17 meteors, same as the number of satellites I saw during the same time period. - Kathy"
"Observed the clear skies over the Gulf of Mexico from 2:30 to 3:00 AM and saw nothing but stars. Disappointing, but the night sky in paradise is always a thing of beauty.-Frank"
24 May 2014 08:00-09:00 UT 55 deg F; dew pt 45 deg F; wind calm; haze/cirrus; crescent Moon up; average LM 5.0; facing N 50 deg; teff 1.0 hr. ANT: one: -1 CAM: four: -2; +1; +3(2) Sporadics: four: +1; +2; +3(2) Total meteors: nine Paul Martsching "
6:.30 UT 6 stars- 4.56 6:53 UT 5 stars- 4.48 7:07 UT 7 stars- 4.83 Camelopardalis-1 @ 6:17 UT mag -1 fast 60 degrees from FOV I did see bright spots but unable to determine if meteors, behind trees and observatory. We had a very loud Eastern Whip-poor-will accompany us with background music, and a cat calling from the window. Kim & Kevin"
Washington State, USA, near Walla Walla. "Lovely evening, after seeing a beautiful rainbow near sunset. Rain off and on all day, and then partly cloudy. I watched the whole two hours (might have dozed from time to time) mostly cloudy, and, as we used to say in Kentucky - there was "nary a one" that I could see. I was glad to be out, though, so peaceful, and a time to think about the Creator and His Word. - Mary Lou"
members out, so no complaints. Below is my report. Mark Davis"
"Up at 1:00 am to view the spectacular hoax of a comet, probably perpetrated by crooked chiropracters and message therapists needing new customers. Risked being mauled by roaming black bears to see one satellite, and two aircraft pass overhead. Maybe the news anchors, sleeping away in their comfy beds, meant, “the aircraft formerly known as Comets”. "just got up, again. was watching from 2 to 4. watching like a hawk. a broken-heart hawk, with a stiff neck this morning. surprise, surprise, ONE shooting light of something around 3:15. duh. but still a thrill to be on the watch :) have a nice day ! - Helo Lo"
"I observed with Jure Atanackov from a place near Ljubljana. 1.5 hours. Only one Camelopardalid was seen during this time. "Disappointment here in Alberta as well. A dozen observers combined to see zero (0) unambiguous Camelopardalids. A few sporadics, a couple of maybes, & a whole lot of nothing. Skies were compromised at first but opened wide from 07-08:00 UT. My own obs consisted of one anthelion meteor we also listened on the car radio's FM band but there was nothing but white noise Swing & a miss. Bruce"
"Just a short note here to say that the "CAMs" were pretty much a bust as seen from here in Dunmore, West Virginia. 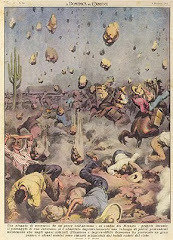 Indeed, these meteors certainly could have done more. Renate and I watched from the comfort of two lounge chairs under a beautiful sky that conservatively was no worse than magnitude 6, with a spectacular Milky Way stretching from Cassiopeia to Scorpius. We were out from 1:45 to 3:30 a.m. EDT and saw 8 possible Camelopardalids. The best one by far was a slow moving dazzler of at least -5 magnitude at 3:20 a.m., which appeared below Arcturus. That was pretty much the highlight. 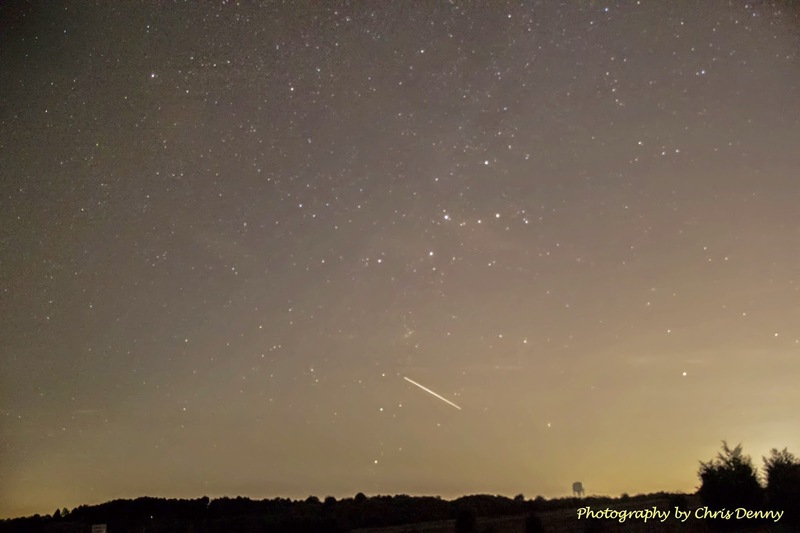 . . we waited for > a possible bevy of meteors to appear but what few we did see were few and far between.joe rao "
the snooze button, then dragged my groggy self out of bed. Clear sky! sparklies was dashed like fine crystal over a rock cliff. me that Comet Eyesore would be the comet of the century. Pfft! "Has anyone seen any of this elusive meteor shower? Out in HI, after an intermittent hour of observing, we saw 3 planes and a half dozen meteors, about what one might expect from any other night. Maybe someone else is having more luck; I think we may try setting the alarm clock for 2 a.m. and see if it picks up any.Best! Tracy L."
We did get up around 2:30 and went outside for about 10 minutes, saw nothing but several hungry mosquitoes, and gave it up as a bad job. Our first observing bout lasted from approximately 9:30 to 10:30 HST, only slightly more satisfactory. This is an instance of negative results still being a result. Best! -Tracy L."
"Dear all, Observation from 23h50 UT until dawn from Maussane-les-Alpilles, France, between Avignon and Arles (43.72 N - 4.86 E alt 133). Lim = 5.70, clear sky, no wind, right after a big storm. Looking mostly to W.Just a single CAM seen (mag 2, very slow, with a double trail, at 0H54 UT) + 9 SPO.Some interruptions when playing with a DSLR on a refractor for comet imaging (the meteor shower was soooo dramatic that it was needed to do something for staying "alive" ;-). I hope you had better luck in N America. Christophe"
"May 24, 2014 0140 UTC -While clouded out here in New Mexico I have been reading the chat comments from hundreds of hopeful observers all over North America. Ouch. Despite clouds, no extraordinary radio meteor out burst here so far. Still, the potential event is pretty interesting in its various dimensions. Thomas Ashcraft"
"By now i assume that the N. American contigent is in "Aaaah"s and "Ooooohs" from CAMs. Did a 1.5 hour stint at 00:00utc till 01:30utc LM 4 last night and nothing seen. Expecting that the rest of you have better news.. :) 2-3am, 0 looking centered on the summer triangle, 0 CAMS, 2 others (both headed north roughly - Lyrids or Aquarids? 3-3:30am (cam in a few minutes ago), 1, mag 3? traveling south possibly in the constellation of Scutum (Sagittarius was in some trees.) Judging from some stars in the neck of Cygnus and checking in Stellarium limiting magnitude was 5 (I could see 4.9 stars with averted vision but not 5.5) I’m in central NC. Milky Way was beautiful. Nice clear night. = - - - - - - - = Steven Kolins"
catch was a nice sporadic. I hope others are having some luck! -Dave Hostetter"
By now i assume that the N. American contigent is in "Aaaah"s and "Ooooohs" from CAMs. Did a 1.5 hour stint at 00:00utc till 01:30utc LM 4 last night and nothing seen. Expecting that the rest of you have better news.. :) Best regards,- Alex SV1NZX"
went out for 1.5 hours (1900-2030 UT). With a sky lm ~5-5.5 I saw 0 CAMs. I hope you catch the rest! Cheers! -Grigoris"
A nice very slow -3 Camelopardalid was captured by EN95 in Benningbroek. Dijkgatsbos in the northern part of the Netherlands. so they went with 2 cars to the Dijkgatsbos to see some meteors. And just when a beautiful -3 Camelopardalid appeared, they looked at the wrong side and missed it... -Jos Nijland"
"Observing from Arizona, close to the Meteor Crater. Some clouds during the observing session from 6.30 UT to 8 UT. Best period was the first 15 minutes, with some nice CAM fireballs. The radiant was very low, so it is difficult to estimate the ZHR, but it was probably under 50. All the CAMs brighter than magnitude 3, despite the dark sky ( sky brightness 21,5 mag per sq.arcsec, SQM) .Clear skies! -Francisco Ocaña"
NOT A METEOR STORM: As predicted, during the early hours of May 24th Earth passed through a cloud of debris from from Comet 209P/LINEAR. The encounter produced some fine meteors. However, contrary to some forecasts, there was no intense outburst. Meteor rates in many places were no more than 5 or 10 per hour. "I photographed this Camelopardalid through clouds using a 30 second exposure," says Wurden. "We saw about one meteor every 10 minutes." Although this is a far cry from predictions, it is hardly a surprise. The parent comet, 209P/LINEAR, is faint and currently produces only a small amount of dust. Most forecasters acknowldged that there might be less dust in Earth's path than the models suggested. http://spaceweathergallery.com/meteor_gallery.html - Carlos Augusto Di Pietro"
"On an early Thursday morning here in the midwest, near Chicago, at 0323 hrs, I arrived at my closest observing site to check out conditions. It has expected amount of Chicago Metro and Rockford/Belevidere/Beloit skyglow, but is in a shallow depression about eight miles north of the farm, so I get zero farmyard lights in my view... very handy. I faced my canoe chair away from the Moon and sat down. At 0402 hrs CDT, I observed a -4 mag meteor traveling much slower than usual. It had 15 degrees of white, persistant train with orange sparks, and traced back to the CAM radiant. Even if we only see two or three of these BAD BOYS per hour on Friday into Saturday, I will be very happy. As Ever, Orin in Boone County, IL near Chicago - Orink"
Not much from Montclair, va. - Kate P."
"I'm a firm believer that negative data is still valuable data. I was only able to see one Camelopardalid meteor this morning in two hours of careful visual observing from the Indianapolis Southeast Side. So, as far as I can see, there was no meteor storm or even a major shower. There was perhaps a minor shower. Here are some details: First session 6:30 - 7:30 UT May 24. Center of FOV was 17h +65°. LM = 4.87 mag. No meteors seen at all even though by my standards, with city lighting, the sky was about as clear as it can get. Second session 8:00 - 9:00 UT May 24. Center of FOV = 19h +70°. LM = 4.82 mag. 1 CAM seen at 8:24 UT. This was a 2.0 mag. flare below Polaris and Gamma Cephei very close to the radiant. Dawn light ended my observing on this clear but chilly late May morning. I hope others had better luck! -Paul Z." "I've checked 56 images (60 sec exposure time each) of an all-sky cam located at the ISON-NM observatory (New Mexico) in the time period from 08:13 to 09:13 UT (24.05.2014). Stellar limiting magnitude on images was rather low at ~3 mag due to poor weather conditions. No meteors found. Best regards, Sergei Schmalz"
"I can report sparse but definite Camelopardalid activity. I observed from 5:30-8:45 UT and counted 11 Camelopardalids, 16 sporadics and 3 Anthelions. Limiting magnitude ranged from 6.4-6.7. The Camelopardalids were faint with a mean magnitude of 3.2 (mean magnitude of the sporadics was 2.7). The brightest one was magnitude +1 and this was especially impressive because it was near the radiant and took several seconds to traverse its short path. It had a golden, teardrop-shaped head. A magnitude +2 Camelopardalid that passed very near Polaris was almost as impressive. The first Camelopardalid appeared at 6:05UT, and the last at 8:29. I saw no meteors of any kind during the last 16 minutes of the watch. With such low activity, there wasn’t much that could be called clumping, although 3 Camelopardalids in 6 minutes around 7:30 got my hopes up. Definitely nothing to justify the media attention, but not an absolute bust. -Wes Stone"
"23.05.2014 meteors and bolids in 21:30-23:58 UT I have not seen ... (new meteor shower in Camelopardalis)(2 observers) Clear skies! -Ivan"
"It has been a long time since my last meteor observation and report. Work commitments and other difficulties had keep me away of the meteor radio observation. 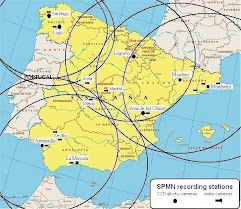 However, one of my current task at my work place is the development and maintenance of a new acquisition system for the ionospheric sounder of the Institute of Geophysics and Astronomy. When monitoring the data I am very happy to watch how during the last few days mostly all of our ionograms has sporadic layers, probably due to the meteor stream. For all those interested in watch a meteor shower from another perspective here is the link for the real time ionograms from the station I work. I will try to compile an small report regarding the number sporadic layers during the last few days. Not all sporadic layers may have a meteor origin, but it will be nice to see how does the umbers behave during this particular shower. Best wishes, Raydel, CM2ESP"
getting to see Mars in the SW and a blurry big dipper, haze was ubiquitous. meteors at all. -Terry Johnson"
"I was out this night to observe some camelopardalids in the french Alpes Mountains. I observed between 22h UT and 03h UT, and saw 4 or 5 camelopardalids during 3h15 effective watch but i didn't observed a really increasing activity of the CAMs. The observation was affected by clouds and so i did several pauses. The report come later. Clear skies to all ! -Jens L."
I was out from 1:45 - 3:50 AM local time and saw only the expected late-spring smattering of sporadics. There were two possible CAMs the entire night, one a splendid slow-moving +1 long-pathed meteor that didn't align all that terribly well, and another very brief and faint meteor near the given radiant, both just after 3:00 local time. Skies were very clear with about a +6 or better LM. Beyond these two maybes, I saw perhaps 8 - 10 SPOs. -Kim Youmans"
Full report to IMO next, and I will post my full data to the list as well.-Mark Davis"
"I just got back home from a successful 5 hour observation under mag 6.4 skies. Mainly clear skies with a few dissipating passing clouds. The Camelopardalids (CAM) were a disappointment - just a weak background activity. There was no sharp peak nor any hint of heightened activity near the predicted time of maximum. Instead, I saw a few CAM's each hour of the night. Overall, maybe 20-something CAM's... Still some beautiful meteors! Brightest CAM was a gorgeous mag -3 meteor that crawled ever so slowly, with a two sec train (possibly photographed by Raymond Dubois who was observing with me). The CAM's seen at the beginning of night were mostly bright, while the ones seen near the end of the night were predominantly dim. The brighter ones seemed to fragment (nebulous appearance) towards the end of their path. I observed until bright twilight in case of a late maximum, but nothing more happened. Perhaps this comet has been almost completely dormant in the past centuries after all. I'll listen to the tape and transcribe my data later this weekend. Clear skies!-Pierre Martin"
"I posted an Asgard All-sky Camera fireball video on my Facebook page, "Ed Peter Majden". It was captured on 2014-05-14 at 05.15.03 UT. Possibly an early CAM from the dust trail of Comet P/209 Linear. I was hoping to set up a couple of spectrographs to capture a spectrum or two, but sadly, the weather is not cooperating on this part of Vancouver Island. Looks like the peak will be cloudy! :-( Just the luck of this game! Sure would be nice to get some clear skies here.-Ed Majden"
at ~3:20 UT that had a distinct orange-yellow color. radiant was still active on the morning of the 26th. Magn. Distributions 05/24-26/14, LM=6.5 Ave. Teff=6.45 hrs. 0 1 2 3 4 5 total Ave.